We are excited to offer you horse back riding lessons. 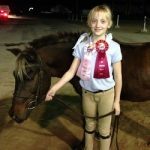 On this page you will be able to inquire about lessons and become a RK Stables Student. We offer all types of lessons and are confident we can find a riding style that will fit your needs. With an easy to understand approach to riding, you will have the opportunity to experience all aspects of horsemanship. Please review all the programs that we offer below. BEFORE SCHEDULING,CLICK HERE to read what to bring with you when visiting the ranch. Beverages (water, tea, soda, ext.) If you do not bring a drink bottled water is available for a $1 donation for the rescues. Feel free to call us at 904.342.7718 if you have any questions. We look forward to seeing you at Family Horse Ranch & Rescue. 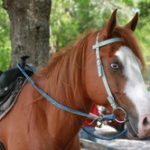 WARNING: Under Florida law, an equine activity sponsor or equine professional is not liable for an injury to, or the death of, a participant in equine activities resulting from the inherent risks of equine activities. The fastest way of learning to ride and is the most affordable. …AND you can come back in between lesson to practice at no extra charge. The fastest way of learning to jump and is very affordable. …AND you can come back in between lesson to practice at no extra charge.To purchase this you must be accomplished in WALK , TROT and, CANTOR. You will be evaluated by the instructor before approval of this membership.